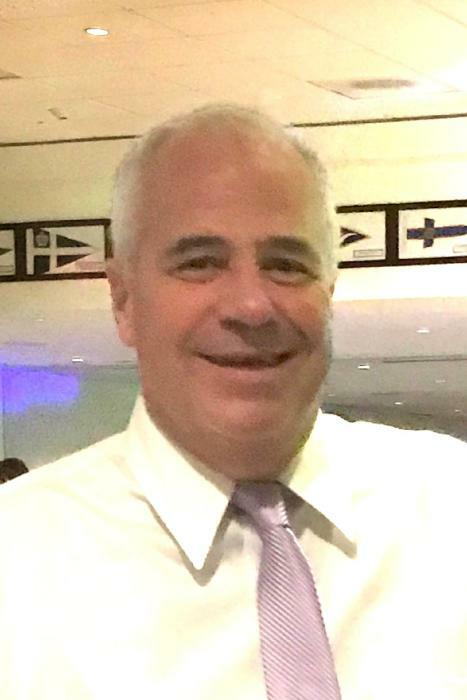 Obituary for Michael Thomas Hefferan | Magner Funeral Home, Inc.
Michael Thomas Hefferan, 60, of Norwalk, passed away on March 28, 2019 due to a car accident. He was born on August 2, 1958 to his beloved parents, the late Attorney Harry H. Hefferan and Catherine “Dickie” Hefferan. He graduated from Norwalk High School and St. Bonaventure University, where he made many lifelong friends. Mike was generous, kind, and a loyal man who would give the shirt off his back to anyone he felt could use it. He was universally loved. To the chagrin of many, he was also a die-hard Cowboys fan, as well as a Cincinnati Reds and New York Knicks fan, and of course loved rooting on the Bonnie’s. His sense of humor and goofiness was legendary among his nieces and nephews, as well as his daughter and her friends. No one could laugh harder at themself than Mike. Depending on who you were, Mike was most likely called by another name: Bimmy, Bear, Mikey… but of all his names his most treasured was Dad. His love for his daughter was mighty; she was his Sunshine and his world. He is survived by his only child - his precious Erin Maeve Hefferan - who loved him unconditionally. Mike is also survived by his big and wonderful family of six brothers and sisters, and their spouses: Paul Hefferan, Catherine Lee Modugno, Sharon Hefferan, Stephen Hefferan and his wife, Kelley, Matthew Hefferan and his wife, Tina, and Timothy Hefferan and his wife, Margarita, as well as many nieces and nephews: Hollis Hefferan, Katie Hefferan, Tom Modugno, Jack Hefferan, Madeline Hefferan and Harrison Hefferan and his cousins Richard Binkowski and Mark Binkowski. He was predeceased by his dear sister-in-law, Sheila Hefferan, aunt Jane Bing and cousins Chris Binkowski and Cathy Bing. Mike is also survived by his partner and love, Donna Tallent, who brought him years of happiness. He also leaves behind his former wife and friend, Jennifer Smith, as well as all The Fellas from Norwalk, and his Bonnie crew. He has left an imprint on us all and will be missed terribly. The family will receive friends on Monday, April 1, 2019 from 4 p.m.- 8 p.m. at the Magner Funeral Home, 12 Mott Ave, Norwalk. A Mass of Christian burial will be celebrated on Tuesday, April 2, 2019 at St. Thomas the Apostle Church, 203 East Ave., Norwalk. Memorial donations may be made to the Treasure House of Norwalk Hospital, 520 West Ave. Norwalk, CT 06850 or The Open Door Shelter 4 Merritt St. Norwalk, CT 06854, organizations to which his mother devoted many years of volunteer service.